In honor of San Diego Beer Week, Sweetwood Films and Stone Brewing announce the limited advanced sneak preview screening of “The Beer Jesus From America.” The 104-minute film documents Stone’s often tumultuous journey to becoming the first American independent craft brewery to build, own and operate its own brewery in Europe. 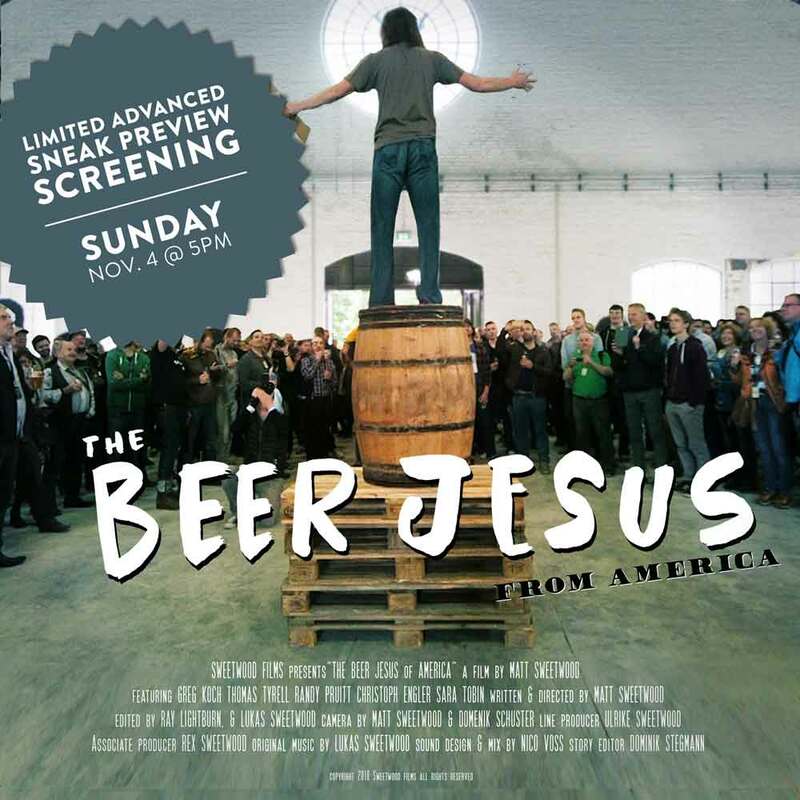 “The Beer Jesus From America” was independently produced by director Matt Sweetwood, with cooperation by Stone Brewing. 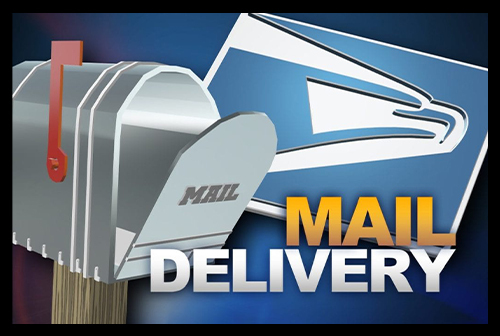 This sneak preview screening will take place at the stunning California Center for the Arts, Escondido. The showing will be followed by a Q&A session with Filmmaker Matt Sweetwood and Stone Brewing co-founder Greg Koch. The film’s title stems from a 2014 article in the German tabloid newspaper, the Berliner Kurier, in which Koch made front page headlines. The newspaper’s cheeky and somewhat cynical article nicknamed him “Der Bier Jesus aus Amerika” and reported on the company’s plans to risk millions building a brewery in Germany. To Sweetwood, the name represents the misperception of who Koch really is, and he set out to tell the full story of the man and the adventure. Koch admits that he is somewhat uncomfortable with the ‘Beer Jesus’ moniker, in addition to many parts of the film, however he enjoys being able to share the story of the historic undertaking and its many challenges. 7 p.m. – Mix & Mingle at Stone Brewing World Bistro & Gardens – Escondido. Tickets are available via the California Center for the Arts, Escondido website and limited amounts will be sold at all San Diego county Stone Brewing locations. 21+ will receive a complimentary 3oz taster of a rare Stone Berlin Groundbreaking Collaboration beer at the theater. All tickets are good for $10 credit towards food and beverage at Stone Brewing World Bistro & Gardens – Escondido, any time on Nov 4, 5 or 6. Reservations are suggested for Nov 4. All event details are available online at StoneBrewing.com/events. “The Beer Jesus From America” film will premier in 2019. Follow @beerjesusfilm on Facebook and Twitter for updates and visit thebeerjesus.com for more information. After stumbling onto what seems to be a highly questionable project in a sleepy Berlin suburb, beer-lover and American expat filmmaker (and SDSU Film School graduate), Matt Sweetwood discovers an unexpected story about a not-so-typical entrepreneur. Nicknamed ‘Der Bier Jesus aus Amerika’ by a German tabloid newspaper, Stone Brewing co-founder Greg Koch has a dream to become the first US independent craft brewery to build, own, and operate its own brewery in Europe. The film follows Greg on his journey of building a brewery in a historic 1901 gasworks facility and making the company’s American style craft beers on European soil. He comes up against challenge after challenge – from struggling with German bureaucracy and cultural differences to dealing with huge construction problems and the constant battles of delay after delay. This is a story not just about the birth of a brewery and the fight against mass market beer, it’s about an inspiring character who understands the importance of sticking to your dreams, no matter how crazy they might seem.